Upon crossing the country, however, Miranda and her grandfather discover their new auction house doesn’t deal in fine antiques, but in livestock. And its frustratingly handsome manager, Wyatt Ballentine, is annoyed to discover his fussy new bosses don’t know a thing about the business he’s single-handedly kept afloat. Faced with more heads of cattle than they can count—but no mysterious painting—Miranda and Wyatt form an unlikely but charged partnership to try and prevent a bad situation from getting worse. At Love’s Bidding is a cleverly crafted historical romance! Book 2 in the Ozark Mountain Romance series, this novel reads as a stand-alone story. However, those who have read A Most Inconvenient Marriage will enjoy revisiting some beloved characters. I delighted in Miranda Wimplegate and Wyatt Ballentine and their auction house adventures! The thread of mystery that brings these two characters together adds an interesting element to the story line and to the romance that develops. 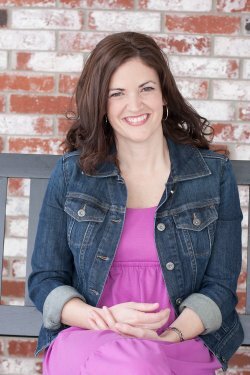 While Miranda and Wyatt’s story is filled with humor, it also shares some poignant moments as well. 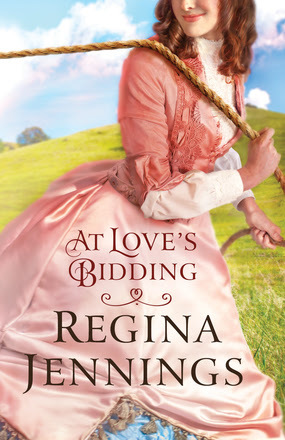 At Love’s Bidding boasts its own unique charm, as only Regina Jennings can create. I thoroughly enjoyed this story and look forward to more! Join Regina in celebrating the release of At Love’s Bidding by entering to win her Cozy Winter Night giveaway and RSVPing to her January 5th author chat party! Enter today by clicking the icon below. But hurry, the giveaway ends on 1/5. The winner will be announced at the At Love’s Bidding Facebook party. RSVP for a chance to connect with Regina and other readers, as well as for a chance to win some great prizes!